Ever wish you could have your very own lightsaber like Luke Skywalker and Obi-Wan Kenobi? Or that you could fly through space at the speed of light like Han Solo and Poe Dameron? Well, those ideas aren't as outlandish as you think. 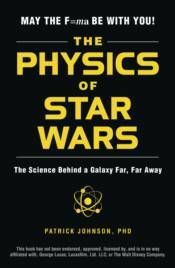 In The Physics of Star Wars, you'll explore the mystical power of the Force using quantum mechanics, find out how much energy it would take for the Death Star or Starkiller Base to destroy a planet, and discover how we can potentially create our very own lightsabers. The fantastical world of Star Wars may become a reality!